Access to business trigger activity is one of the keys to B2B direct marketing success. Equipment leasing is one of the most potent of these indicators. Knowing who has leased what, when the lease agreement commenced, and when it expires represents actionable intelligence. It is valuable for manufacturers, lenders and service contractors. The U.S. Companies With Equipment Leases from D&B targets businesses that have leased equipment with current lease filing and registration data. Increase your sales by reaching startups, small businesses and entrepreneurial enterprises who depend on these equipment leases to operate and grow. 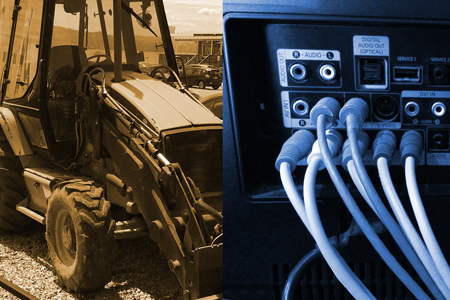 Categories include general office equipment, computer equipment, communications equipment, as well as business machinery, construction equipment, agricultural/farm equipment, industrial equipment, and transportation equipment. Equipment type is not selectable. This list is derived from the most current D&B Database of business loan filings. The data is segmented for maximum targeting flexibility, with an emphasis on equipment financing to small businesses. Get the filing field details, demographic, firmographic, and contact data selects you need to reach prospects on both sides of the lease transaction. For more about this exciting business activity trigger resource, including the deep roster of available selections, call Jeffrey Hudes at (914) 948-8300 x125, or contact us.